Justine Cassell is Associate Dean for Technology Strategy and Impact in the School of Computer Science at Carnegie Mellon University, and Co-Director of the Simon Initiative. She is Director Emerita of the Human-Computer Interaction Institute, also in the School of Computer Science at CMU. Her complete CV can be found here. 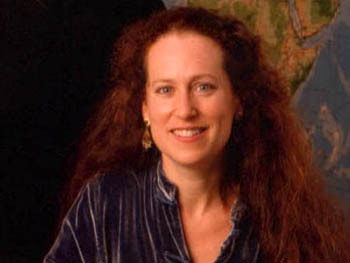 Prior to her arrival at CMU, Cassell was the founding director of both the Center for Technology and Social Behavior, and the Technology and Social Behavior joint Ph.D. in Communication and Computer Science at Northwestern University. Cassell previously held a tenured associate professor appointment at the MIT Media Lab where she directed the Gesture and Narrative Language Research Group. Cassell won the Edgerton prize at MIT in 2001, was the recipient of the AT&T Research Chair at Northwestern in 2006, in 2008 was awarded the Anita Borg Institute Women of Vision award for Leadership, in 2011 was named to the World Economic Forum Global Agenda Council on Robotics and Smart Devices (which she now chairs), in 2012 was named a AAAS Fellow and in 2016 was named both an RSE Fellow and ACM Fellow. Cassell has spoken at the World Economic Forum meetings at Davos in 2012, 2013, 2014, 2015, 2016, and in 2017. In between, her work has been awarded a number of best paper prizes, and has received various other kinds of accolades. She holds a DEUG in Literature from the Université de Besançon (France), an M.Litt in Linguistics from the University of Edinburgh (Scotland), and a dual Ph.D. from the University of Chicago, in Psychology and in Linguistics. Cassell's research interests originated in the study of human-human conversation and storytelling. Progressively she became interested in allowing computational systems to participate in these activities. This new technological focus led her to deconstruct the linguistic elements of conversation and storytelling in such a way as to embody machines with conversational, social and narrative intelligence so that they can interact with humans in human-like ways. Increasingly, however, her research has come to address the impact and benefits of technologies such as these on learning and communication. In particular, Cassell is credited with developing the Embodied Conversational Agent (ECA), a virtual human capable of interacting with humans using both language and nonverbal behavior. More recently Cassell has investigated the role that the ECA can play in children's lives, as a virtual peer support for learning. The most recent instantiations of the virtual peer technology have been in the service of scaffolding the learning of contingent social skills in children with high-functioning autism (more information here), and understanding the ways in which children who come to school speaking non-mainstream dialects of English can maintain this important index of culture and identity, while still achieving school success (more information here). In other work, Cassell has employed linguistic and psychological metrics to examine the long term effects of online community on young people's self-esteem, self-efficacy, and sense of agency. This work focuses on the Junior Summit, the world's first large-scale online community for young people, which in 1998 brought together in an online forum more than 3000 young people from 139 countries. Once machines have human-like capabilities, can they be used to evoke the best communicative skills that humans are capable of, the richest learning? This is the goal of Cassell's research: to develop technologies that evoke from humans the most human and humane of our capabilities, and to study their effects on our evolving world.